We frequently get calls at Citrus Sign Studio from businesses that want to change the appearance of their interior design with wall graphics for Orlando. Nowadays, many local enterprises are replacing their tired old wall decor with vibrant wall murals. This is because it is an affordable and versatile solution. Read on to learn more. Lobby Signs – Do clients have a way of knowing they have found the right business when they first enter your office? If the answer is no, then you should consider getting lobby sign wall graphics that also help you boost your branding. Common Areas – Cafeterias, hallways, and other common areas are popular spots for wall murals. They can depict inspirational images, your company’s mission statement and core values, or motivational quotes to brighten the mood of workers. Conference Rooms – Meeting rooms are the perfect place for you to highlight your corporate history. For a particularly long room, a timeline graphic can take up the length of a wall. Your history also serves as the perfect backdrop to impress customers with your company’s growth while emphasizing your humble beginnings. In addition to being useful just about anywhere in your building, wall graphics are useful for wayfinding and directional purposes. You can point visitors, clients, and customers in the right direction. With a fun mural or standalone wall graphic, show where bathrooms are located. This graphic can include the universal symbols for women’s and men’s bathrooms. In a warehouse style commercial setting, this is a smart option for pillars. Is there an evacuation plan for your facility? How do guests know where to go in case of an emergency? We can install vinyl emergency exit route graphics next to exit doors, elevators, and stairwells.This will be simple for consumers to see as part of the information displayed on your office’s walls. At the end of one day, you may close up your shop as a no-name dive bar. The next day, you can open up as the place where all the hipsters want to be seen. 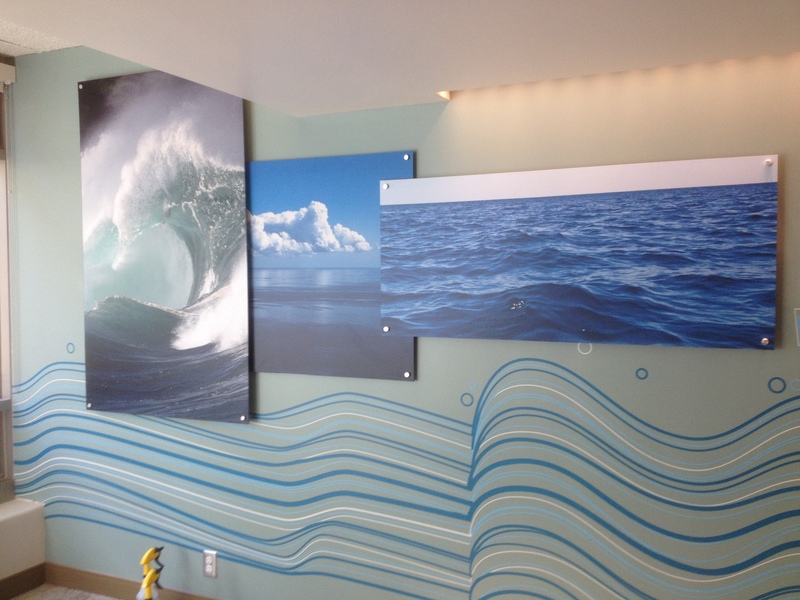 This dramatic change can be achieved with little more than wall graphics. We can include the usual design elements of a hot New York nightclub or any look you are hoping to nurture. This is why more and more restaurants are turning to digitally printed wallpaper for enhancing the dining experience. 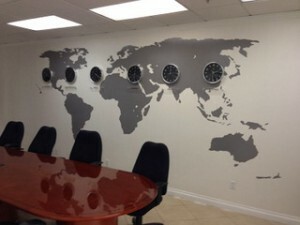 The ideas for wall graphics for your Orlando business are virtually limitless. In addition to being endlessly customizable, inexpensive, and attractive, the wall murals our customers often request are easy to clean and maintain. Since they are treated to withstand soiling, they are ideal for busy restaurants and retail spaces. All it takes to clean them up is a quick wipe down with a moist cloth. If you are ready for wall graphics and murals for your company, contact Citrus Sign Studio today for a free consultation.